Last weekend my sister, my daughter, and I traveled to Tennessee for the 50th anniversary celebration of my cousin, Chet, and his wife Carolyn. In all, seven of the twelve of us first cousins were there. Some of us hadn’t seen each other in years, but that doesn’t matter one bit. My heart was filled with joy as I hugged each one of them and shared smiles and stories. Mom and her siblings. My mom is the girl in the middle. Many people don’t know their extended family members like aunts, uncles, and cousins. Not the case in my family. 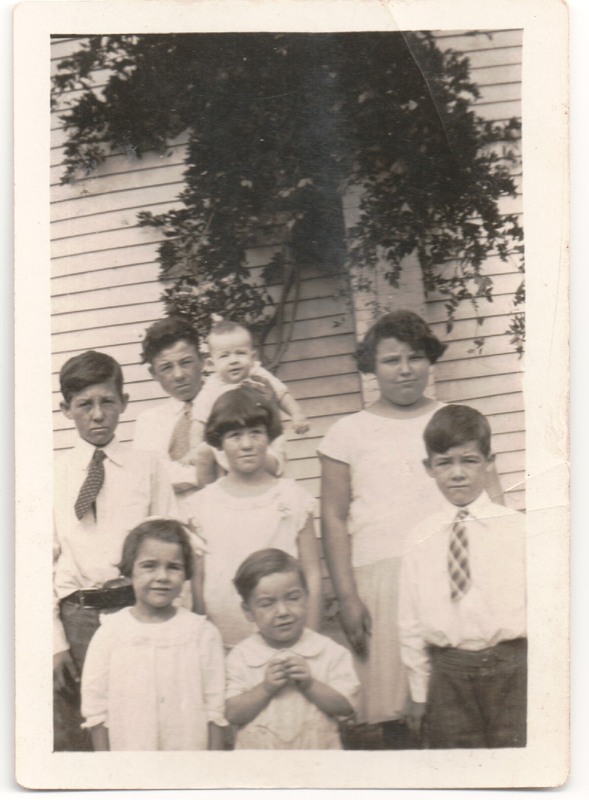 My mom was one of eight, and even though her siblings lived up and down the east coast she (and they) made the effort to visit back and forth. 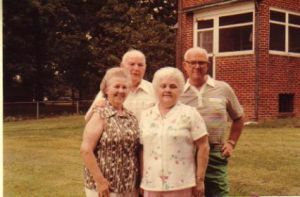 I am thankful today for my mom and her siblings for staying connected through the years and over the miles. Their love for each other trickled down to my cousins, my sister, and me. I am blessed to have this bunch of people as my family.